Jaffna News: A family head of a Tamil homeland from Switzerland has been detained in Chunnakam police station. The affected family members have been lodged with the Chunnakam Police Station and Tellipalayam Hospital. Maurice Arunasalam Prakash (aged-61), a native of Uduvil region and a Swiss resident, has been attacked. 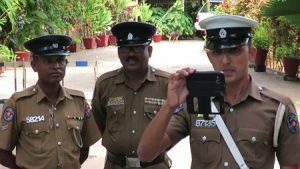 A family member has complained that both Sinhalese and Tamil police officers attacked him. He was accused of killing a youth in front of the Mallakam Mata Temple. Morris Arunasalam Prakash, a household owner and owner of a multi-million dollar home near Uduvil College for Women is living in a long time Swiss resident. He has returned to his homeland to restore his inheritance. He submitted the documents of his inheritance to the Uduvil Pradeshiya Sabha and requested the license for them. The Uduvil Pradeshiya Sabha requested public notification regarding his request. However, no one else has claimed the claim in the public notice period. So, the family leader has been allowed to take care of her assets at Chunnakam Police Station. He went to his land yesterday. One of the private security service guards was assigned to the land. However, the owner does not know who the person is in charge of him. When the owner went to the place, the security officer of the land was released. He went to Chunnakam Police Station and complained against the land owner. On the basis of the complaint, two police officers serving in the Chunnakam police station arrested the land owner yesterday morning and took them to the Chunnakam police station. Following the arrest of her at the police station, the police have taken a legal medical certificate in Tellipalayam hospital to get her to the court at Madalam today. The doctor who examined the health of the family head at the hospital raised the question of injuries. He told the doctor that the police had attacked him. The police were informed by the doctors that the family should be treated and treated in the hospital, considering the health of the head. "The head of the family is currently in the first cafeteria of Tellipalayam hospital. His neck has a stroke injury. His neck is to take the x-ray.